So I’m standing outside my room, dressed in a fluffy white robe, a glass of red in one hand and a canapé in the other, making small talk with the immaculately dressed couple from the suite next door. Spotting an American accent, I casually ask “Where are you from then?” to which they reply, ” Oh, central London, we live next door to Harrods. Are you familiar with it?” This was the moment I decided the fluffy robe was probably not my best look and mentally cursing for even thinking about wearing it, but then again we were cruising the Baltic on Regent Seven Seas Voyager and this was the famous Regent ‘block party’ a whirlwind doorstep tour by Captain John Mcneill to share an informal toast with his loyal subjects as we mingle together in the corridors in whatever mode of attire we desire. 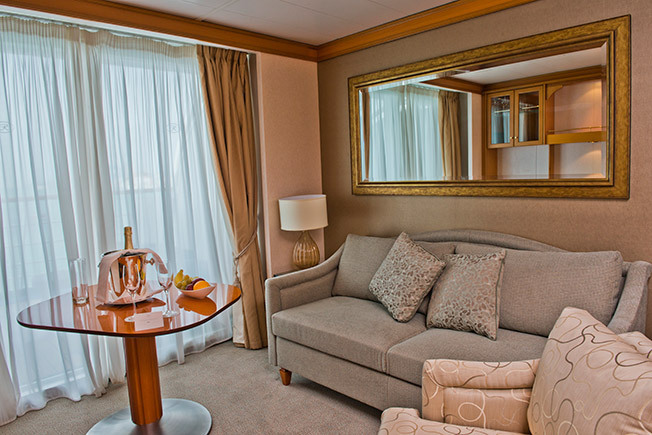 Regent Seven Seas cruises are all classed as “six star”, an all-inclusive, all suite luxury experience where everything is included; all drinks, meals in any of the restaurants, unlimited excursions, all staff gratuities, 24 hour room service and even flights and transfers to your ship. Regent claims it’s possible to cruise and leave your wallet at home and as I love a challenge, I’m on a mission to see just how true that claim might be. 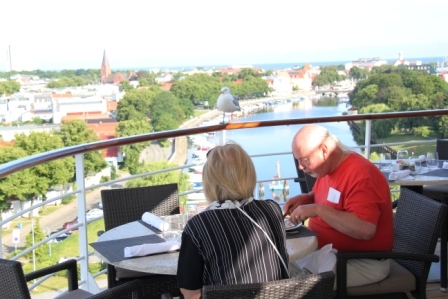 The Baltic is an extraordinary sea bounded by Russia, Germany, Sweden, Denmark, Latvia, Estonia, Finland, Lithuania and Poland (and on this ten day cruise you get to visit all of them except Poland and Lithuania) and five capitals – Copenhagen, Stockholm, Riga, Tallinn and Helsinki. 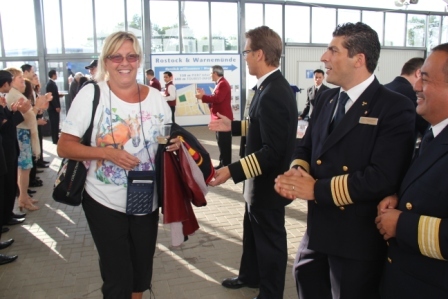 Add Saint Petersburg to the mix and you’re in for a pretty diverse cruising experience. The Seven Seas Voyager dominates Copenhagen’s port skyline as I arrive at the terminal having spent a couple of nights in Denmark’s delightful capital. The retail therapy of Stroget,(perhaps the longest pedestrian shopping street in the world), the medieval cobblestones and canals of Christianshavn, and the gastronomic delights of the city’s 13 Michelin rated restaurants including NOMA, voted best restaurant in the world three years running. But now Voyager beckons; her 12 decks looking remarkably clear considering most of her 700 passengers and 450 crew are already aboard. My bags disappear as if by magic, whisked away with a whispered promise of unification in my suite. “it’s just luggage sir, not for you to worry about anymore”. So I don’t, I move on, check in and get my next surprise; my suite has been switched to Penthouse level. No standard 350 metre suite with balcony, king size bed and marble bathroom for me, I’ve got a butler on tap, an IPad to play with, an espresso machine and Hermes accessories on top of the standard L’Occitane fare, not to mention priority status for booking the two specialist restaurants on board and all the excursions and an hour’s free satellite internet access. This is all going rather well then. Still basking in the glow of my newfound Penthouse status and just because I can I celebrate with two lunches from the three venues on offer. A spectacular 3 course buffet in Voyager’s Italian restaurant La Veranda (which doubles as an excellent fine dining bistro in the evening) and another nibble or two by the poolside buffet just for the hell of it. 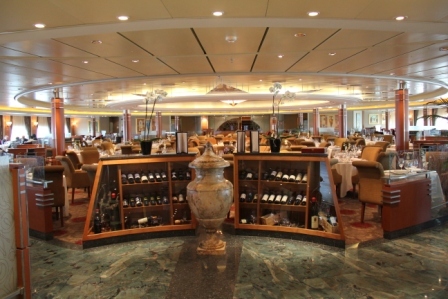 While we’re on the subject of food, Voyager has five restaurants to choose from, Compass Rose, the main dining room; the aforementioned La Veranda and pool side bistros and two intimate fine dining venues, Prime 7 and Signatures which are reservation only due to their limited seating. I work off my two lunches by exploring the ship’s twelve decks on foot, although there are plenty of lifts to silently whisk you up and down. Just one level above the pool and Jacuzzis I find the golf nets and jogging track; down a few levels, the impressively two tiered Constellation Theatre where the nightly shows take place; the Canyon Ranch Spa and fitness centre where you can top up your wellness have a facial and indulge in daily group fitness activities; the Horizon Lounge, perfect for an afternoon tea or a late night cocktail; the Observation Lounge with its floor to ceiling wrap around windows, just the place for some romantic star gazing and decks 4 and 5 at the very heart of Voyager, the casino, the nightclub, the boutique shopping and internet, and main reception where all the on shore guided excursions are booked. Back in my suite, I browse through them, picking out a Jewish heritage tour of Riga as a potential highlight and with a quick call I’m booked in. 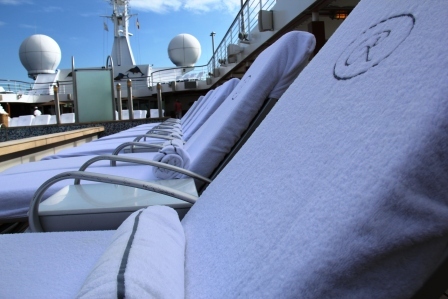 As it happens I’m keen to see the sights, but if I didn’t fancy leaving the ship, I could immerse myself in a full programme of organised activities or just lay on a lounger and soak up the sun. Each evening the ship sets sail and waking up in a new country every day I find myself quickly settling into a routine mainly based around eating; it’s hard not to as the service and the quality of the food is so impressive. An excursion around the delightful medieval Gotland port of Visby in Sweden is marred by my nagging urge not to miss lunch. I make it back. Just. Then a planned afternoon enjoying the quaint German beach resort of Warnemunde was abandoned once I realised it would interfere with an afternoon tea extravaganza involving 35 different types of cheesecake. Even my butler Mark insists on bringing champagne and canapés for me to snack on my balcony in the early evening before dinner. He is quite something. Silently adjusting my in room amenities in line with my particular trends. Noticing for example I only drink still water, he dispensed with the fizzy; seeing I enjoy espresso he brings additional sachets of coffee. 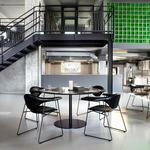 Intuitive service doesn’t get any better than this. 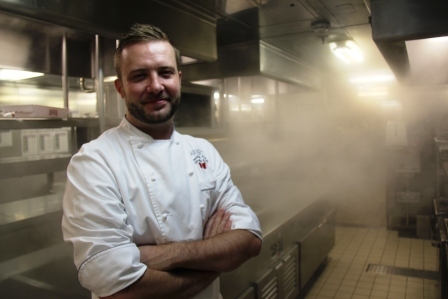 .A tour of the galleys with Executive Head Chef Jonathan Smid reveals the sheer scale of the food operation on a cruise. “I have a team of 85 chefs and it’s all about logistics” he reveals” we go through over 4,000 bottles of wine and 12,000 eggs a week and 500 pounds of fish and 475 steaks a day. There’s no finer thing for me than getting off at each port and visiting the local markets to buy fresh produce; in fact this morning I just bought 20 kilos of Pelmeni mushroom dumplings.” My stomach begins to rumble once again. Learning a lesson from my recent Block Party experience, I dress casually elegant and join some of my fellow passengers for an evening down in the Horizon Lounge listening to a highly talented Filipino trio sing the Great American Songbook, a feat of wonderment in itself. I sit alongside Larry, a gentleman from Texas and like all Texans he is a very big man indeed (I get a flash in my head of Chef Jonathan’s daily steak total suddenly seeming a little understated). Big Larry has been on all three of Regent’s luxury 6 star fleet and assures me “Yes sir, they are a fine bunch of boats”. So is this really a cruise that includes everything? So far, I have wined and dined myself into a stupor, been on five excursions and had my butler at my beck and call without shelling out a bean. Yes, there are one or two chinks in the Regent ‘all inclusive’ armour. Spa treatments are chargeable extras, as are external calls and satellite internet fees and the more extravagant excursions such as a guided day trip to Berlin or a high speed train tour to Moscow. These are optional extras though and not really counted as part of the all in deal. I want to go, how much is it? 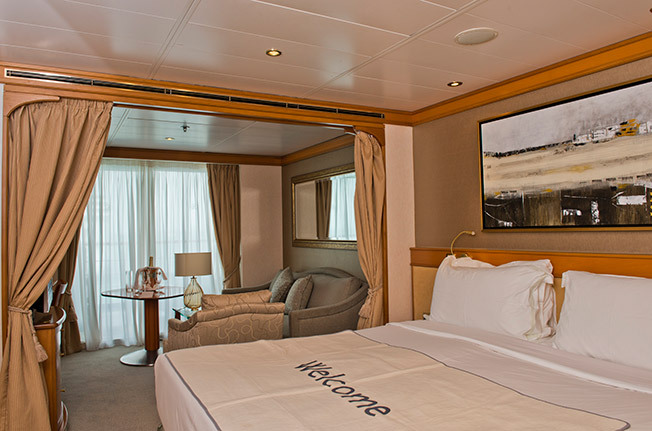 All-inclusive cruises in the Baltic/Northern Europe with Regent in 2013 start from £3,499 per person (based on two people sharing an H category deluxe balcony suite). 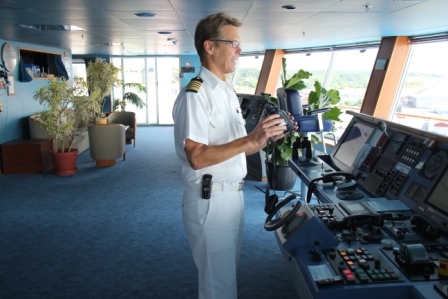 A 10-night cruise between Stockholm and Copenhagen in 2013 starts from £4,869 per person. Fares include: return flights and transfers (Business Class flights for bookings in Penthouse Suites and above), free and unlimited shore excursions, all fine dining, beverages and gratuities and 1 night pre-cruise hotel stay.